These quality crystal glass beer tankards have a clear (undecorated) body and star design inset into the base. They have straight sides and feature a curved handle. 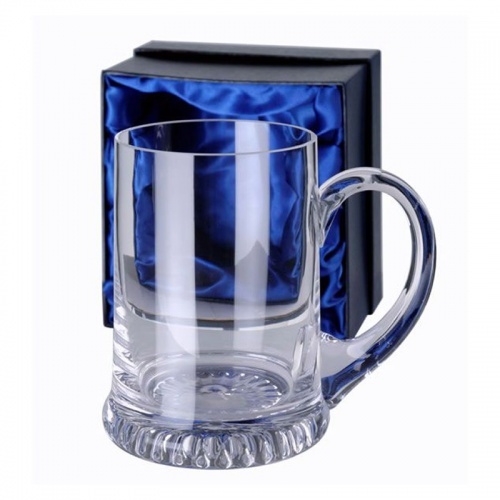 These engraved pint glass tankards are supplied complete with a lined presentation box.